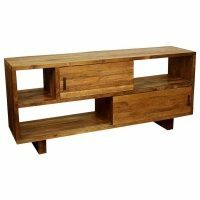 The Parota TV Stand will give your living room a charming country feel, while also providing plenty of storage space for your electronics and décor. 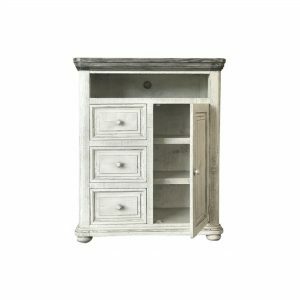 Featuring middle doors that slide side to side to reveal shelf storage. The back panel behind doors include drilled holes with plastic wire management grommets to organize cables of electronics. 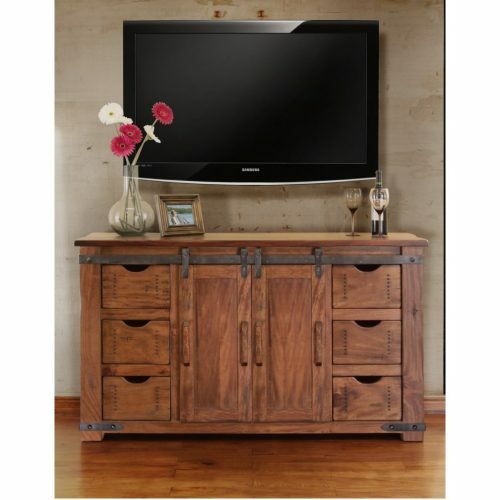 The modern farmhouse style of this entertainment center will become a piece in your living room you’ll admire. This outstanding 100% solid wood Collection features Parota on tops a wood native from Mexico and South America. Mango wood on fronts and sides. 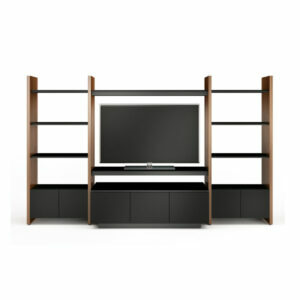 TV stands feature metal ball bearing glides. Middle doors slide side to side to reveal shelf storage. Shelves are fixed. Back panel behind doors include drilled holes with plastic wire management grommets to organize cables of electronics.